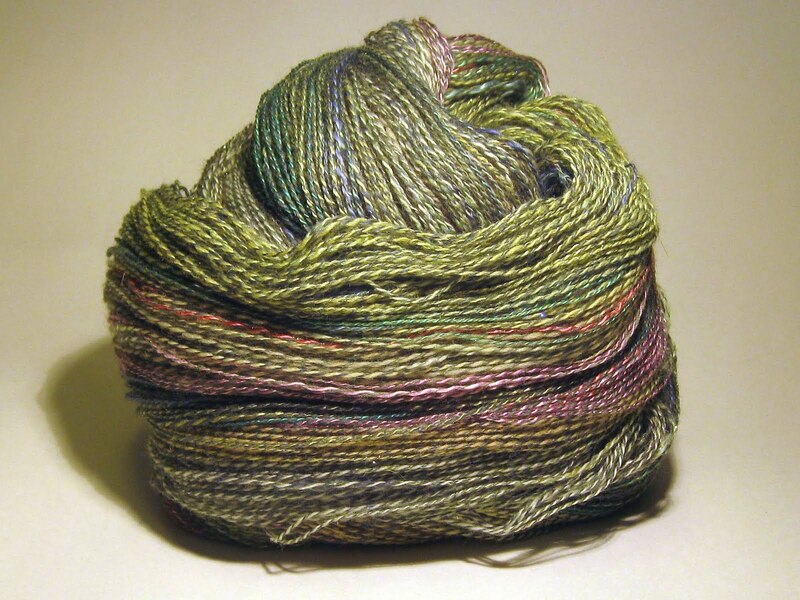 The finished yarn is soft, colourful, luxurious, green, jewel toned. The shine from the milk, silk and bamboo takes my breath away. The sparkle makes me smile. The yarn is wildly varied and yet a cohesive whole at the same time. It has turned out just as I’d hoped, but is even more beautiful than I could have wished for. 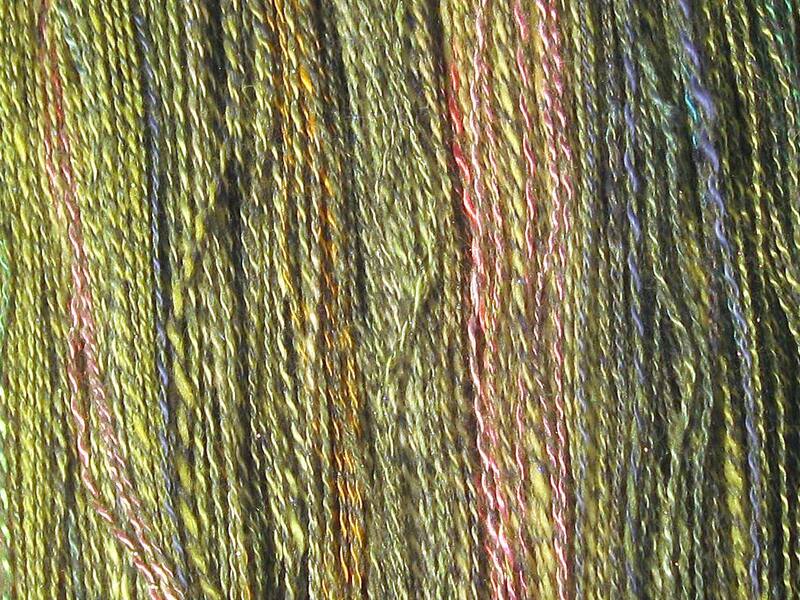 This is one Honkin’ skein of Phat laceweight! I enjoyed this challenge immensely, despite being pressed for time. 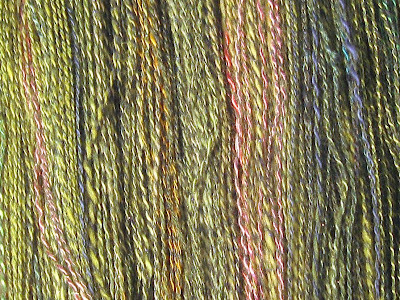 I used about two thirds of each Phat Fiber Sample from my check-in picture and about 7/8th of the eXtreme Spinning batt. 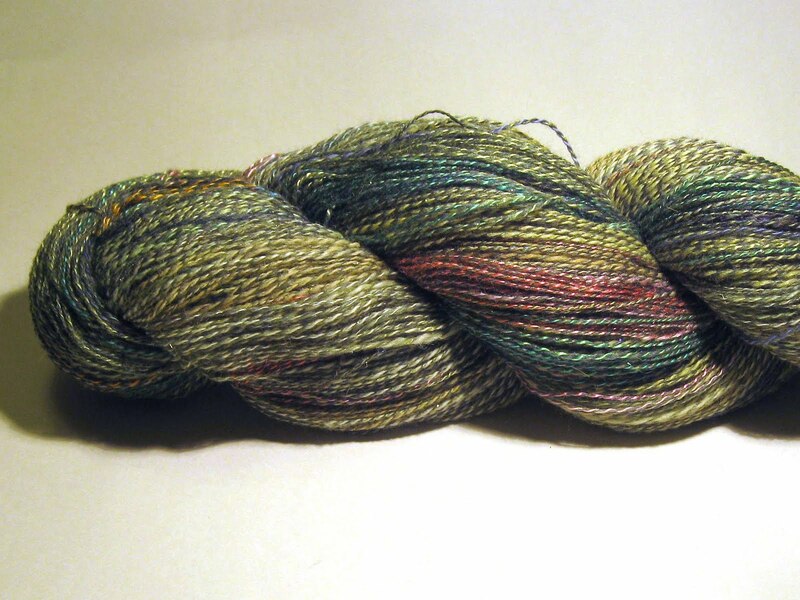 I intend to spin up the rest of the Phat Samples and the last bit of the eXtreme Spinning batt. I expect to get another 130yds. I did say I love this yarn, didn't I?